We have the openings for Oil / Product Tanker. 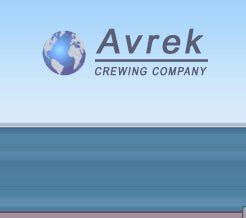 AVREK Crewing company was created for the selection and departure of crews. The basic directions of the company are crewing, rendering services to seamen, drawing up of documents, consultations. High level of service as well as good reviews make it possible to say that the company is successfully operating in the market. 1. Knowing how hard money is given to sailors, we never carry out for our services any deductions from their wages. The servicing of seafarers in the preparation of the necessary documents for work on ships and for traveling abroad is made at the lowest rates in order to maintain our company at a proper level. 2. Seafarers who have already worked one or more contracts on the vessels of those foreign shipowners with whom we cooperate have priority in finding a job. 3. We contribute in every way to the official growth of sailors.